You heard about a sales marketing management position at a rival firm and sent in your application. Eventually, you were called in for an interview, then for another… finally, you were offered the position and you’re planning on taking it. You’re ecstatic, but you’re also concerned about something—how can you ethically leave your current employer? After all, “burning bridges”, though easy in the short term, is foolish in the long run. 1. 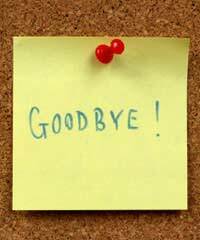 How Will You Say Goodbye to Clients? If you’re already a sales person or a sales marketing manager, you no doubt have at least a handful of clients at your current job. Thus, you owe it to your customers to tell them that you will no longer be their representative. Generally speaking, a formal letter (or, if it seems appropriate, an email) is a good way to go if this is the scenario. (You can always add a personal note at the bottom of the page.) Make certain that your leaving in no way puts your current employer in a bad light. 2. Should You Tell Your Clients and Colleagues Where You’re Going? 3. What Will You Tell Your Colleagues about Your Departure? Again, it’s almost always best to portray your departure in a positive light, even if you’re resigning because your current employer has been difficult (or has asked you to leave). 4. How Will You Ensure That You Leave on Good Terms? Typically, you will want to leave your employer on good terms. Therefore, it’s critical that you avoid badmouthing your company to anyone (coworkers, new coworkers, neighbours, acquaintances, clients, et cetera) during or directly after your transition period. Obviously, some companies are so terrible (or have gained such a bad reputation) that it may be difficult for you to stay silent about your experiences, but it’s usually the best bet to do so. 5. When Should You Tell Your Employer You’ll Be Leaving? If you’re a sales and marketing manager, you’ll need to give your employer as much notice as possible. Most companies like at least 2 weeks notice, often more depending upon your level of responsibility or length of service. You can find this information in your contract, if you signed one. However, be aware that if you’re a sales person and you’re heading to a competing company, you may be asked to leave the day that you tell your employer that you’ve accepted a position with the competition. (This is especially common in financial and legal businesses.) Try not to take it personally if you’re escorted to the door so as to ensure you haven’t removed any customer files. 6. How Will You Ensure That Your Replacement is Prepared When He/She Takes Over Your Position? Finally, unless you have to leave immediately upon giving your resignation, do prepare your files and desk for your replacement. Type outlines, calendar events, et cetera, and put them in a special file for the person who ends up taking your role. This will not only be good for your employer, but it will also be good for your reputation.